One person must win and at the end of the tough encounter, the best woman Serena carried the day. The fact that both of them made it to finals is also very commendable. 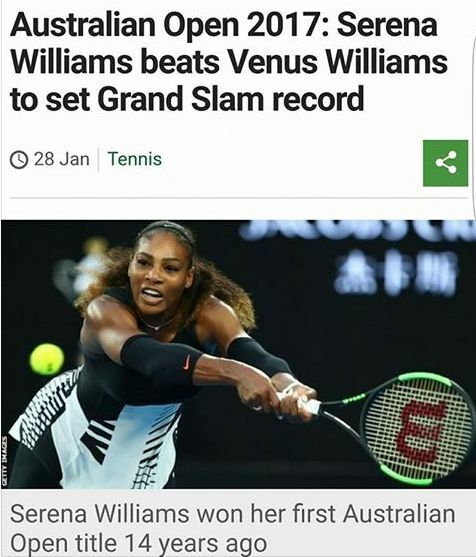 Serena Williams is officially the greatest player of the modern era after beating her sister Venus to win her 23rd Grand Slam title at the Australian Open. The new No 1 overtakes the previous record she shared with Steffi Graf. Only Margaret Court, who won 13 of her 24 Majors before the Open era started in 1969, has ever won more. 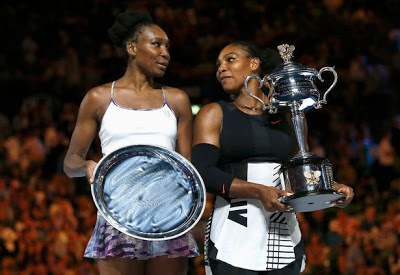 Serena, now world No 1, beat Venus 6-4 6-4 in 82 minutes to win her seventh Australian Open title without dropping a set. Congrats, Serena!